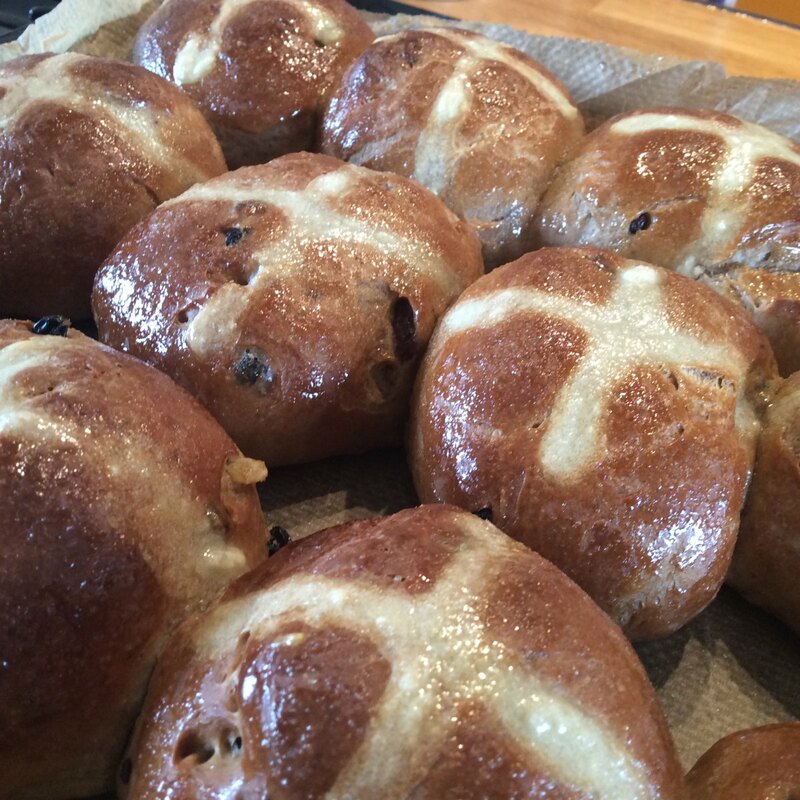 This is the best hot cross bun recipe I’ve ever used. It was given to me by my friend Heather but I’ve tweaked the original version slightly to suit our taste. It’s absolutely foolproof- I’ve been able to break windows with my previous attempts, they’ve been so hard! I do like a bit of seasonal baking, especially when it’s a horrible sleety day like today. 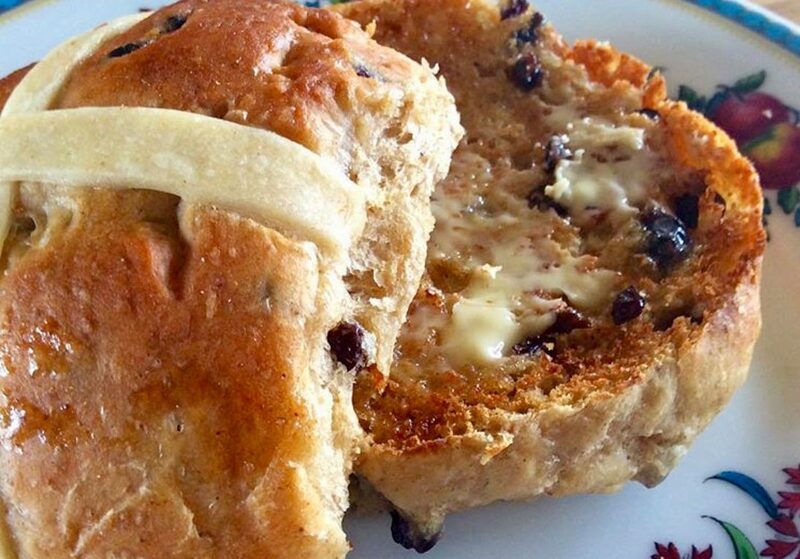 And of course, I do love a nice toasted hot cross bun for my four o’clocksies. Who wouldn’t? Mix the flour, spices, salt and sugar together then make a well in the centre. Add the butter and eggs, and enough of the milk to make a dough that’s fairly wet but not too sticky. Knead until a dough is formed then add the fruit and knead until it’s evenly distributed. Cover and leave to rest for around 2 hours until the dough is really light and puffy. Heat the oven to 200c fan. Divide the dough into 12 equal pieces and roll into a smooth ball. Place on a prepared baking sheet, leaving a good gap between each ball. Flatten ever so slightly. Cover and leave to rise for a further 40 mins or so until well risen. OPTIONAL CROSS- Mix 75g plain flour with 5tbsp water – added one at a time to make sure the paste isn’t too runny. Pipe a cross onto each bun just before putting them in the oven. Or alternatively, make into a thin dough and roll out. Cut strips and make crosses. Brush with a mix of 1tbsp sugar and 1 tbsp boiling water to give a nice shiny glaze. Eat warm with plenty of butter, or serve toasted the next day.